Banh it ram (fried sticky rice dumplings, pork belly, mung bean, shrimp) is the lesser known cousin of banh it tran, though both are central Vietnam regional specialties. The main difference between the two is that banh it ram sits on a layer of glutinous rice that is then fried golden brown and crisp on the outside, but the inside is still deliciously chewy, toothy, and soft–a great contrasting texture. How this dish came to be we have no idea–personally we think some banh it tran makers back in Vietnam had too much dough left over and wanted a way to use it without throwing it away–you know how frugal Vietnamese are! Regardless, it’s an ingenious combination. Top with some minced shrimp and nuoc mam cham and you’ve got a really tasty and texturally amazing little appetizer. 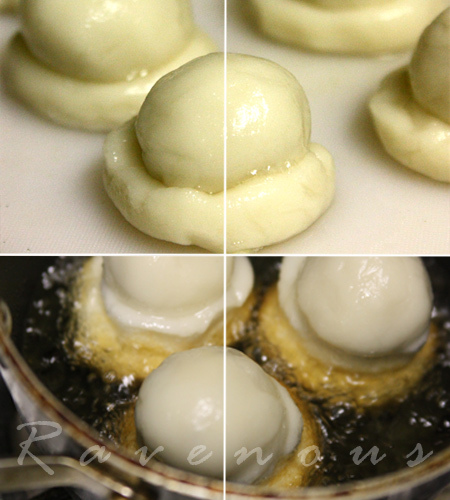 The technique is identical to our banh it tran recipe with a few added steps. First you need to make the rice layer for the dumpling to sit on. Being pseduoscientific, we rolled some the glutinous rice dough into a thin string and then coiled it into a circle–the thinking is that there’s more surface area to be crispy! But to be honest, it probably wasn’t necessary and you can simply make a thin flat disk and it would work just as well. Marinate the shrimp with 1 ts fish sauce, sugar, pepper and set aside for about 20 mins. Marinate the pork with 1 ts fish sauce, sugar, pepper, and dark soy sauce also for about the same time. In a large pan at medium high heat, saute the pork belly first. No oil is needed here as there’s plenty of fat in the belly. When it’s about 1/2 way done, add shrimp but not the garnishing shrimp. Saute until both are done and set aside. Then toss in reminder of the 3-4 tbs of shrimp and saute until done. When cool, mince in a mortar and pestle or finely mince with knife and set aside. Make the scallion oil by heating a few tbs cooking oil such as olive oil and adding the scallions just to wilt and set aside. You can either steam or boil the mung beans. We prefer steaming it since we don’t like to stand in front of a pot and stirring (use only enough water just to cover the beans). Steam mung beans until you can easily smash the grain with your fingers. The longer you soak in water, the quicker it will steam–if overnight about 15 minutes. When done, transfer to bowl or mortar and smash into a paste with rubber spatula. Now in mixing bowl, incorporate the mung bean paste, shrimp and pork together. Season to taste with salt and pepper. Allow to cool and form small balls, about quarter size and set aside. This can all be done a day in advance. In separate mixing bowl, combine glutinous rice flour with salt and mix. 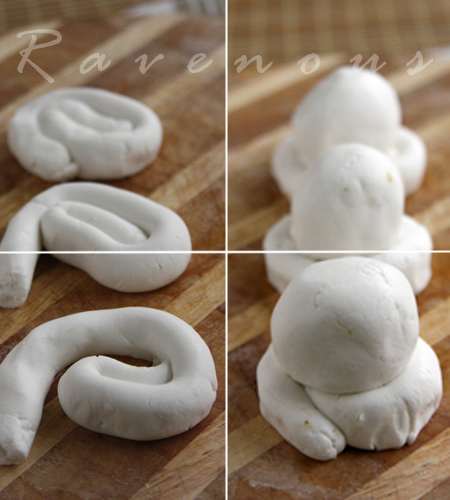 Work it into a pliable play dough like texture. Be patient–it’ll come together. The dough is too wet when it’s soft and sticky–you can add a bit more flour or let it air dry for about 10 minutes. It’s easier to work with a slightly dryer dough. When working with the dough, if it starts to break from being too dry, just add a bit more water. Pinch off dough and roll into small golf ball size and flatten into a round disk. Add the ball of filling in the center and fold over the edges and roll gently, sealing it. Use some all purpose flour on your hands if you find it too sticky. You can keep a small bowl of water on hand and using your wet fingers seal off any cracks. For photos of this process, see the che xoi nuoc recipe. Keep the formed dumplings on a clean dry surface such as a cookie tray or cutting board and don’t let them touch. Make sure you save enough dough to make the rice cakes the dumpling sits on. Again, no need to roll it into a string like we did–a thin 1/4 inch or so round cake will do. Make a gentle indentation and wet the center of the cake and gently push down to seal. In a large pot, being careful not to overcrowd, boil dumpling until they rise–remove from water and allow each to drain dry–a large tray covered with plastic wrap would work, but don’t let them touch as it’s very sticky. Make sure the dumplings are completely dry before frying. In a large saute pan heat up on medium high only enough oil so that it just covers the top of the rice cake. Fry until golden brown and remove and drain on paper towels. Plate and top with minced shrimp and scallion oil and serve with nuoc mam cham and pickled carrots and daikon. We can’t mention it enough, but Vietnamese cuisine is so much a balance of flavors and here is an example of not just flavors, but a balance of textures–so crispy on the outside yet so perfectly chewy and soft on the inside. A delicious appetizer! We’re also looking for host for the upcoming months so please let us know if you like to host! 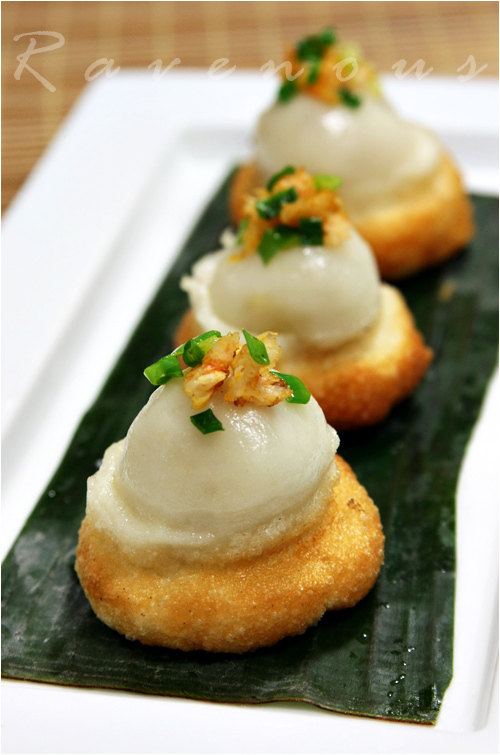 Wow, fried rice cake with yummy fillings! This is very impressive! KennyT: this is definitely not for the carb wary, but it's a great combination and gluten free! I absolutely LOVE anything made with glutinous rice flour. I love your nerdy thoughts in trying to "maximize surface area." Ha ha, I would have just kept thinking about how it would maximize oil absorption, thus making the dish higher calorie. Great post! Jenn: Ha! We're all about being nerdy! Wow, very interesting recipe! I've never heard of this before. I'm new to this too. Must be challenging to roll it as one but just get the bottom deep-fried. whoa! I love banh it tran but I've never had banh it ram before. The fried dough makes the dish looks more elegant. A fantastic dish! It looks very pretty, how you only fried the bottom half of the dumpling.. cute! i'll be surprising my mom by making her this. She loves this and attempted to make it before but the fried portion would just cracked. =) Thanks for the recipe!!! This looks bomb. XD.. I only had the banh it tran, but I have to definitely try this one though. Great recipe — last time I've had banh it ram was a Quan Hy (or was it its sister resto Quan Hop?) in the O.C. — now at least I can fantasize about make it at home . . .
Betty and Joy: Thank you! 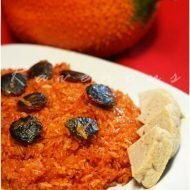 lan anh: do let us know how it turns out and post on our facebook fan page..don't make the rice cake too thin! Ooh! 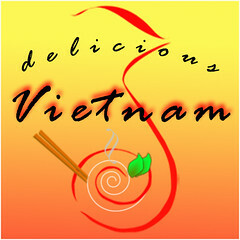 that looks scrumptious, I can almost taste the crispy/chewy/yummy banh it ram You guys are awsome ! kisamuse2: It certainly has all those textures..Thank you! I've always wanted to know how to cook banh ram it, thanks for showing. I'll let you know how it turns out. Bonnibella: I think we retweeted with the wrong handle this morning! KFP: pandamania is a great game..and it's free! I'm going to hunt this down when I'm in Hue later this year. Sounds most Delicious! i am looking forward to trying this at your upcoming party! but i think i'm more excited to try banh beo, cuz i actually love eating this stuff in the restaurants. i prefer the freshly made ones, vs the ones thats already prepackaged.. doesn't taste as good! see ya guys on saturday!! oops, that message above from anonymous was from me! the window wasn't working properly. That looks so yummy. The crispy and chewy mochi looks so delicious. Great job! 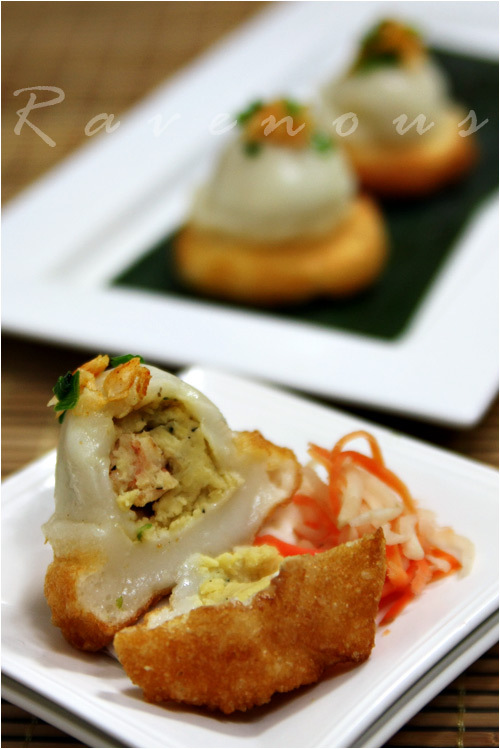 You guys always have the coolest looking food… love the 1/2 fried dumplings… it's like getting the best of both worlds!! They look too good to be eaten I am so going to attempt this! These look so scrumptious fried! And the fillings are awesome! 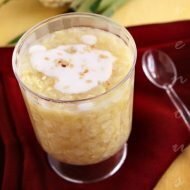 This is one of my favorite dish and I have been looking for the recipe for a while. It looks wonderful! Thank you for sharing. dammmn can you guys come to Nam and cook for me?! Them mon an mien trung! When I was young, there was a tiny little vietnamese deli that used to sell these and I would have my mom order me 5 at a time and ask them for only the fried portions! Eventually they stopped making them and I hadn't had them since. Fast forward 20 years and I find your recipe. I made them myself this past weekend and they were FANTASTIC! Thank you so so so much. I felt like I was biting into my childhood! Question for you.. my grandma used to make a variation on this, except not fried, oblong shaped, and with a ground pork, black fungus, bamboo shoot, orange oil filling and steamed in saran wrap. I think she just referred to it as Banh It. Any idea what this is? Or where I could find a recipe? @anonymous: Thank you for sharing that touching story and so glad it worked out for you! unfortunately we don't know exactly what your grandma made so don't want to make any wild guesses, but nothing directly comes to mind! I believe banh many is what the other person’s comment dasted oct 13 2010 was referring to. If you have tried them please come up a recipe for us.